The Construction Specifier is the only peer-reviewed U.S. publication targeted to those professionals who select, recommend and influence buying decisions. It is the official magazine of the CSI. It remains the association’s primary vehicle for disseminating construction information and fostering communication amongst building design professionals. 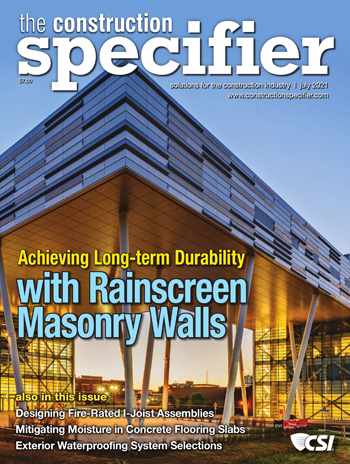 The editorial focus of The Construction Specifier relates directly to the job functions of its core readership-professionals involved in the specification process. Readers rely on the magazine for the latest information on construction documentation, materials and methods.